We’ve said it before, and we’ll say it again…there ain’t no party like a scanning party! We jump on any opportunity to gather and celebrate our love of essential oils. But more than that, essential oil scanning parties give our friends a chance to try the iTOVi scanner for themselves. For this month’s scanning party idea, we’ve decided to mix things up and make it a BYOB party. In this case, BYOB stands for Bring Your Own Blend…essential oil blend, of course! Because everyone’s body is different, we each have our own way of enjoying essential oils. This party allows you and your guests to share unique blends while bonding over the common favorites. We encourage you, for this party especially, to invite people who are new to the world of essential oils. Even if they can’t bring their own blend, they will get so much exposure to new and exciting products! If possible, try to set up your party throughout a few different rooms or areas. If your friends have a diffuser of their own, invite them to bring it and share the love! While the scanner gets passed around and everyone tries out the iTOVi, have a few different blends diffusing throughout your home. People can wander in and out as they choose, learning which blends their bodies react positively to while sipping on a glass of wine. 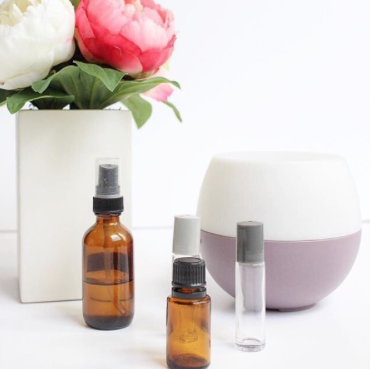 Be sure to have each diffuser clearly marked with the oils in the blend, so guests know what they’re smelling. Once everyone has had a turn with the iTOVi, gather your guests and explain briefly how their iTOVi scan report works. If you need a helping hand to summarize the scan report, you can use this blog post for reference. Now that the newbies are familiar with oils and iTOVi, give everyone a chance to compare products from their scan results. Now the BYOB part really comes into play! If one of your guests shows peppermint oil on their scan report, have them hunt around to find someone with peppermint oil in the blend they brought. 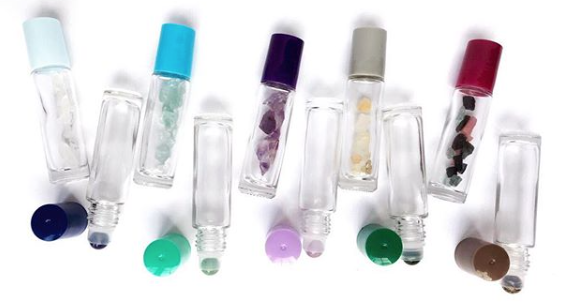 Once everyone is matched up to a blend, it’s time to bust out the roller bottles! We want every guest going home with their own personalized party favor. While the excitement of mixing-and-matching oils dies down, allow your guests to decorate their roller bottles inside and out. Fill them with glitter or crystals, and cover the outside with stickers or washi tape. The options are endless! Your guests will love the chance to be creative while they chat with newfound friends. A few days after you host your BYOB scanning party, remember to follow up with your guests and ask them how they like their new blend. If all goes well, you’ll have them oiling up like crazy in no time!